Scottish Squash & Racketball are delighted to announce that Eye Rackets UK have joined JC Lindsay as official event sponsors for the 2017 Scottish Junior Open which will be held from the 7th – 9th January 2017. 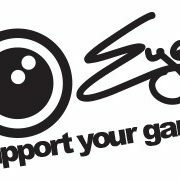 We are delighted to have the support of Eye Rackets and JC Lindsay. With both companies on board it is building to one of our best showcase events on our calendar.